One US soldier was killed and two injured in an attack by an Afghan soldier at a regional governor’s compound in eastern Afghanistan. The attack, in which the Afghan soldier was killed, happened shortly after a visit by a US embassy official. The incident happened in the city of Jalalabad “right after the US official had left," said Gen. Fazel Ahmad Sherzad, police chief for the eastern Nangarhar province, the New York Times reported. Reuters said one of the three US troops injured in the firefight later died. Some early reports said the American official in question was US Ambassador to Afghanistan Michael McKinley, but the embassy tweeted that he was in Kabul at the time of the attack. @miraqapopal@pajhwok@sharifamiry1 Ambassador McKinley is in Kabul. It was the second so-called “green-on-blue” attack in Afghanistan this year. 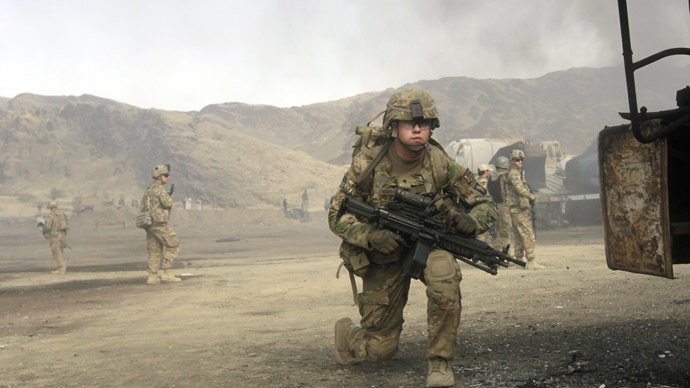 Such attacks, when Afghan soldiers or police attack foreign troops, used to be very widespread in Afghanistan, accounting for as many as 15 percent of NATO troop deaths during a spike in 2012. They have since sharply declined as NATO commanders took precautionary measures and withdrew troops from some areas of the country. In the previous incident, in late January, an Afghan soldier killed three American contractors.